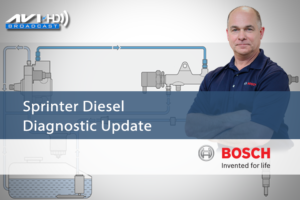 ARCHIVED BROADCAST – The first diesel exhaust gas aftertreatment components were introduced over 10 years ago and are required on all common rail diesel vehicles today. 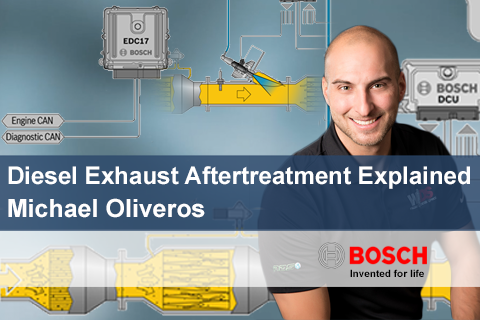 This HD streaming event, sponsored by Bosch will provide an in depth presentation on diesel aftertreatment system designs, system history, federal emission standards, plus theory and operation. 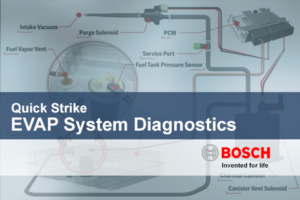 The program will provide a detailed analysis of individual system components, including what causes them to fail and how to diagnose and service them correctly. Michael Oliveros is the President of Williams Diesel Service in Ocala, Florida. He has over 20 years of experience with diesel fuel injection systems and test equipment. His expertise and experience include fuel system component rebuilding, vehicle diagnosis and repair, exhaust aftertreatment systems and test equipment design and operation. He is a contract instructor for the Robert Bosch Corporation and considered one of the leading experts on Bosch common rail fuel systems in North America. 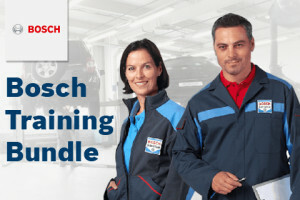 He has served on technical discussion panels for the Association of Diesel Specialist and is a current member of the Bosch Service Dealer Council.